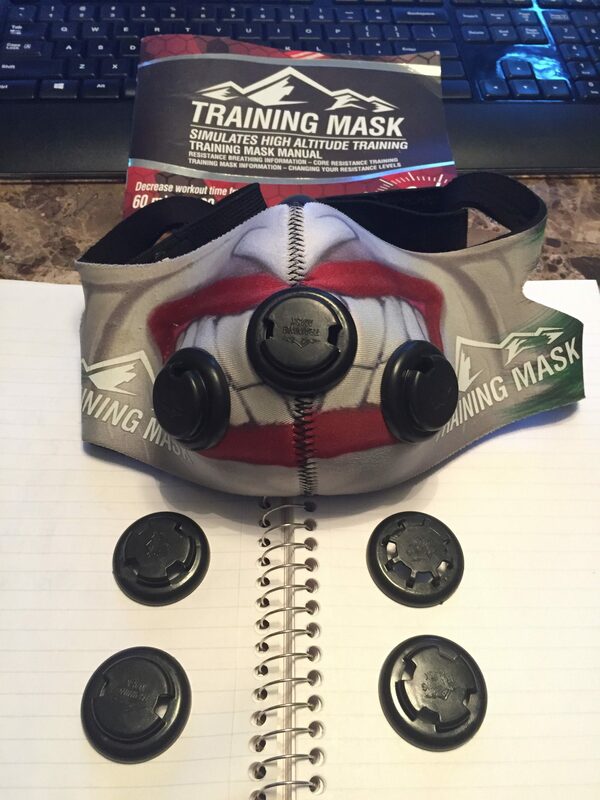 I had seen Marshawn Lynch wearing this crazy looking training mask some years ago. When it came time for me when I needed to make a drastic change as my workouts were plateauing and I was having a hard time burning that extra bit of body fat around my waist. Once I received the mask in the mail I had to go through the book to figure things about. The mask comes with multiple plastic “caps” that have one to six cutouts in them. One allowing the least amount of air to pass through, six allowing the most. 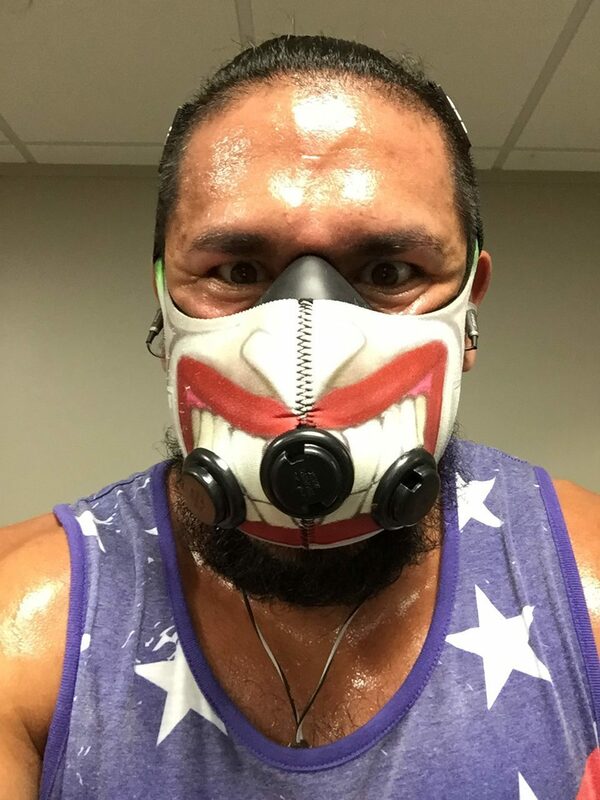 I started here and like with anything else – after three to four workouts my breathing adjusted to the mask during workouts and I would catch myself during my workout remembering that I even had it on! I’d say another unexpected benefit of wearing the mask during workouts is it makes you focus more on your breathing. By doing this you’re also focused on your exercise at hand – especially when I am lifting weights. Take squats for example – I’m way more conscious of how far I’m doing down on each life, having good form, and matching my reps with the rhythm of my breathing. 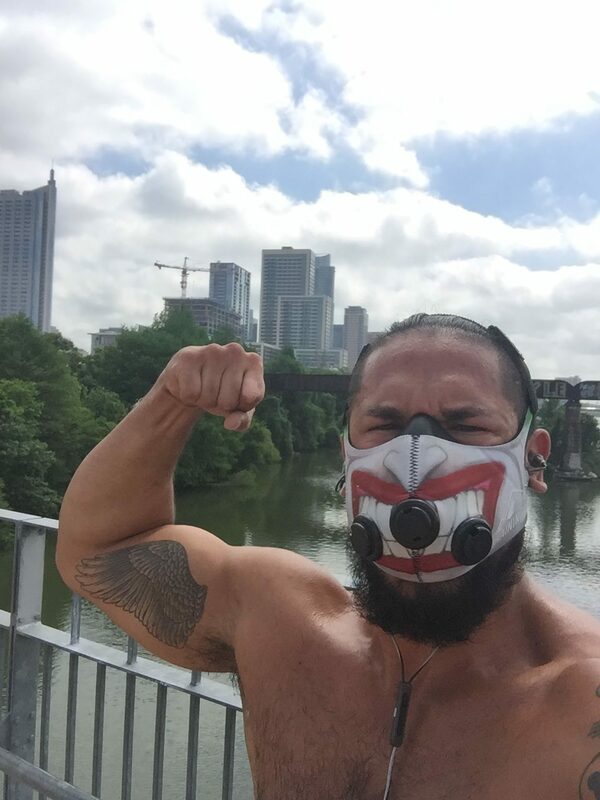 The final test of endurance for me was to take the mask out jogging in 90 degree temps in Austin, TX. The humidity had been thick and I wanted to see how long I could go running without having to pass out. There is a great trail in Downtown Austin called Town Lake. Luckily it was right next to my office. It was a great run but you realize quickly all the attention from people! Everyone, drivers, pedestrians, homeless people, the whole gambit. I realized right away that you need to use the head strap. It is the glue that holds this whole thing in place. Also – you have to put your headphones in before you put the mask on. The mask helps keep your head phones in place so there is an upside. 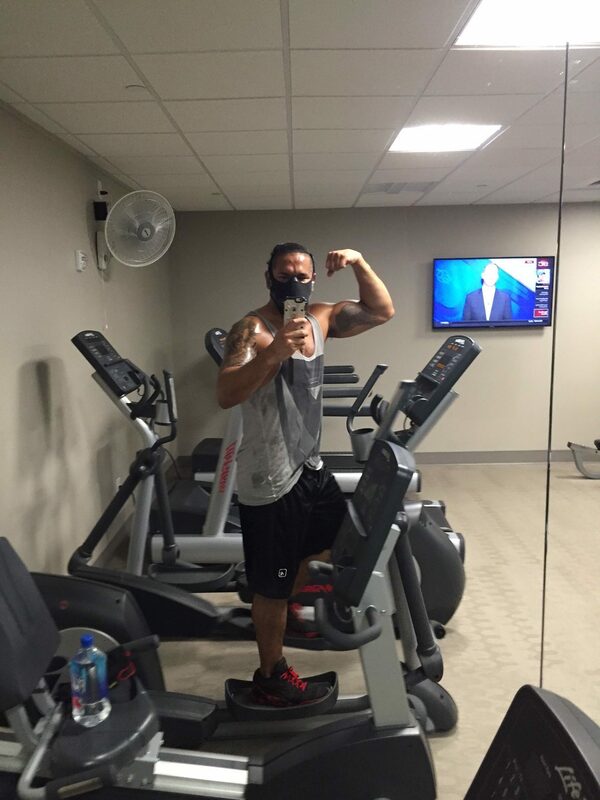 If you have any questions on the Elevation Training Mask 2.0 please leave them in the comments below.